This ribbon is also available as a wired ribbon - search reference 43920. Available in a variety of colours and roll lengths. 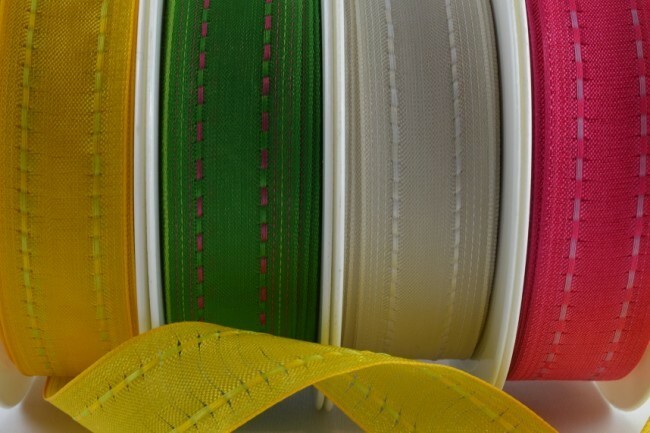 53920 - 15mm/25mm/40mm Colour Woven Ribbon (3 Metres & 20 Metres) This ribbon is also available as a wired ribbon - search reference 43920. Available in a variety of colours and roll lengths.